New library director, Laura, from Columbus stops by to say hello to Dev Bureau staff Carmelita Aragon and Ryanne Cooper at the State Library’s booth. 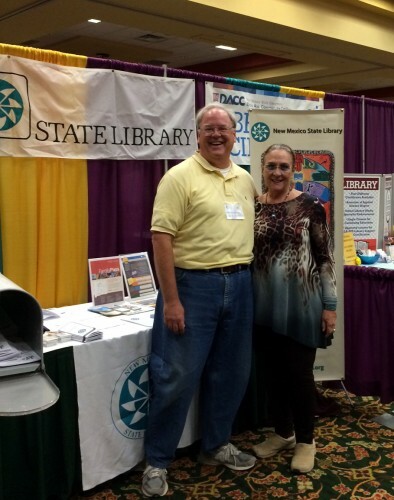 The NMLA Annual Conference was a big hit this year and a great time for all. 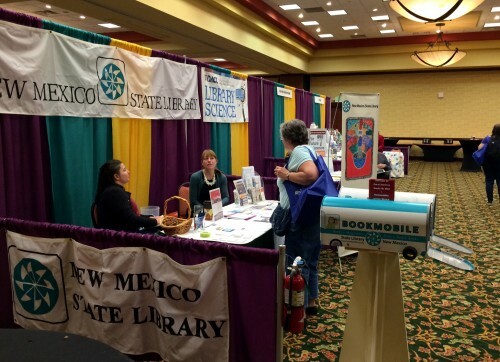 To those of you who stopped by the State Library’s booth in the exhibit hall or attended one of our sessions — it was great to connect with you all. A huge thank you to NMLA President Janice Kowemy, incoming president Sharon Jenkins, and all the crew on the planning committees for taking such good care of us, and making annual conference the perfect place to connect, transform, and create! TSB Chief Brad Carrington and TLP Coordinator Alana McGrattan say “cheese” on the opening night. 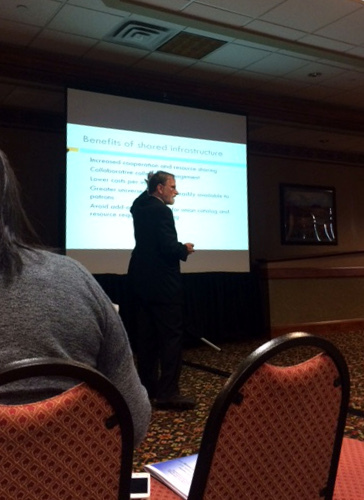 Keynote speaker Marshall Breeding talks about upcoming tech trends for libraries. Here he shares the “benefits of shared infrastructure” — and how resource sharing can build strength among libraries. Sign Your Library up for the 2017 NASA Eclipse Event!